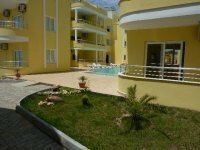 VILLAS AND APARTMENTS TO RENT ON THE AEGEAN COAST, TURKEY. 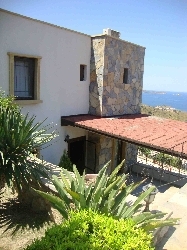 Welcome to our selection of holiday homes to rent on the Aegean Coast, Turkey. Turkey's Aegean Coast stretches roughly from Ozdere in the north to Torba in the south and includes the resort of Bodrum and the vibrant city of Izmir. As well as a huge selection of picturesque and family-friendly beaches, the area is perhaps best known for its historical significance, and is home to two of the Seven Wonders of the Ancient World along with a host of other ancient ruins. More modern historians may prefer to visit the World War I battlefield of Gallipoli or you could just sit back, relax and enjoy the year-round sunshine. The town of Bodrum is one of the fastest-growing resorts in Turkey and is also where most arrivals to the Aegean Coast region will arrive. The beaches in the town itself are not particularly special, and have been affected by the nearby industrial port, but there are plenty of better areas for sunbathing on the nearby peninsula, such as the towns of Bitez and Yalikavak. All the towns on the peninsula are connected by a regular bus service in the summer or you could take one of the cheap taxis. Bodrum is better known for its lively nightlife and is becoming a popular destination for young people looking for sun in the daytime and excitement in the evening! The other main resort on the Aegean Coast is the smaller town of Foca, which is much quieter than Bodrum and is very popular with water sports enthusiasts. There are few tourist areas anywhere else in the world, which can also boast an outstanding collection of ancient and historic buildings and monuments. The Mausoleum of Maussollos and the Temple of Artemis, near the modern towns of Bodrum and Selcuk respectively, are two of the Seven Wonders of the Ancient World, and even though little remains of the original structures, they are both worth visiting if only for the small museums which tell the fascinating history of these two important sites. Elsewhere you can visit the more substantial ruins at Aphrodisias or the walls and fortifications of the famous city of Troy. Visiting the battlefields of Gallipoli is a moving and educational experience, and a guided tour in English is a good idea to make sure you don't miss out on any of the important locations. The area is always busy on ANZAC day in April as it was mainly Australian and New Zealander troops who fought here with a series of celebrations and services in memory of the men who died. Looking for self catering holiday accommodation on the Aegean Coast? Then below is a selection of apartments on the Aegean Coast and villas on the Aegean Coast that can be rented direct from their owners. You can either click on each listing for further details or you can use our search engine on the left if you are looking for something in particular.